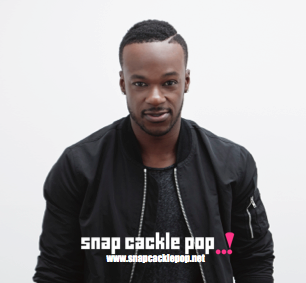 Tim Omaji Welcome back to SnapCacklePop, it’s been a while since we chatted, what happened to Timomatic? Timomatic has been evolving. It’s been a really exciting/ nerve-racking experience for me to trust my gut and move forward as Tim Omaji. Has the change in name changed how you approach creating music? Nope not necessarily. The music I create has slightly changed but my approach to the creative has been pretty much the same. If anything I take more time getting things right but it always comes down to two question. Does it excite me? Will it excite you? Do you have any other nick names of alter ego's? How did they come about? Before Timomatic I was B-boy Sonic. It was my breakdancing name I had while I was in a dance crew in Darwin. So you are back to talk about your new single Go To Work, tell us about it all - GO..!!! Go To Work is a straight club banger/Wake up Alarm. It’s a fun track designed to take you to the next level on the D-Floor, In your work-outs or literally at your work! Well its very catchy but still has your urban feel, what do you want fans to take from it? I want fans to enjoy the energy of the track. It’s got a great bounce to it and I want it to inspire my fans to dance in a new way. How was it working with Joe London? It was an honour. We’ve never actually met before. All our conversations where via email but we all made something very special. And lets talk the video! How much fun was that to make with all the ladies? Wasn’t a bad day at the office at all! Every featured woman brought their A-game and it was crazy to sit back and watch! I’m a lucky guy! Do you think you could take on Lauryn Eagle in a boxing match? That’s a straight no hehe. Lauryn is a beast and she would do damage on me for sure. It would be fun to spare though. What about an arm wrestle? I reckon I could take her in an arm wrestle. Set the wrestle up please! Done. Did Coco teach any moves as a pole dancer? I let Coco just do her thing uninterrupted. Her strength on that pole is mind- blowing and I couldn’t even think of trying it. So should we be expecting a new album from you next year? You should. Still deciding whether an EP is a better way to go but at the end of the day I just want to give my fans the best music possible. Tell us about it if you are? Who have you been working with? I’ve been working with local and international talent on this body of work. The sounds on the record range from pop/funk all the way to alternative electro rnb with some tropical house in there too. The foundation of the album is definitely my rnb/urban vocal delivery. Are you planning to return to Australia's Got Talent? Not anytime soon at this stage. And what is planned for you in 2016? More music, more travel and more shows. Im working with a band at the moment for live shows so I hope to showcase this more next year. Each year I select a mantra or a general theme I want to live by that sums up my goal. This year I just wanted to evolve in all areas whether it be fashion/relationships/music. I feel like I’ve done that so 2016 get ready for a new mantra/ hashtag . Dinner at a tasty restaurant with a nice view and then back to mine for drinks, conversation and good vibes. You worked with Joe London, what is your favourite part of London? Ive only stayed in Kensington so I’m going to have to say Kensington. What are you getting us for a Christmas present? Whatever you want! Plus more music! Tim Omaji's new single Go To Work is out now on iTunes..!